Historically, the roots of the Losen-Bockstanz estate go back to the 16th century. As of today, Thomas Losen and his family manage this small, traditional estate. Weingut Losen-Bockstanz is located in Wittlich, a little village on the eastern bank of the Mosel River, about 36 kilometers northeast of Trier and about 95 kilometers southwest of Koblenz, nestled the middle of the famous Mosel region, which possesses ideal vine-growing conditions perfectly adapted to the Riesling grape variety and produces some of the best wines of Germany. 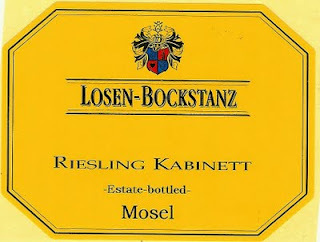 Losen-Bockstanz wine’s quality primarily comes from the quality of the fruit and the location of the vineyards. The skill and experience of generations of winemaking, supplemented by the latest technologies and techniques in the vineyard and cellar serve only one purpose: to produce the best wines, expressive of their Terroir of origin. 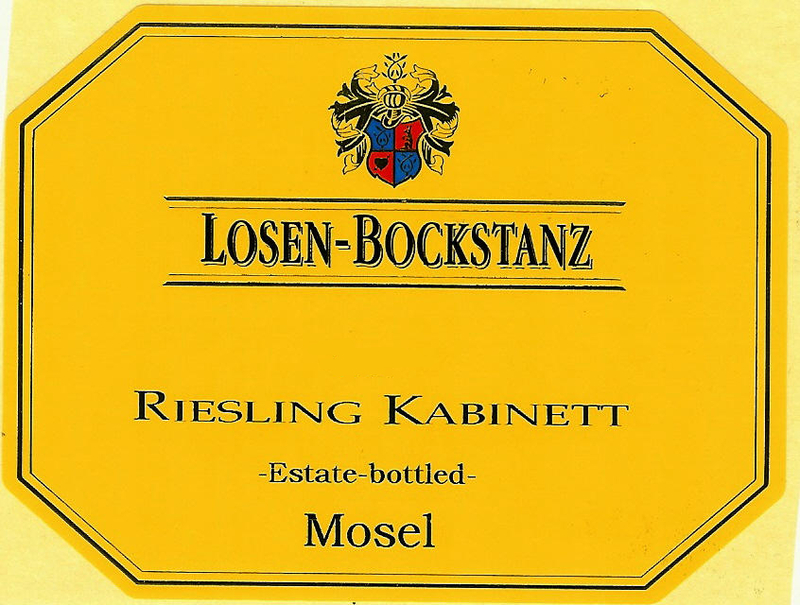 Regardless of the vintage, location and variety, Losen-Bockstanz wines always have something special that makes you get back to them. Wine is a gift of nature: the unique fauna and flora in the midst of the most beautiful area of the Mosel bear witness to this, which means natural wine. Here, in this magnificent décor of gentle hill slopes covered with vines and overlooking tranquil rivers, the winery produces premium, complex still and sparkling wines, which are characterized by excellent focus, harmony and taste. Like most wineries in Germany and more particularly in Mosel, Losen-Bockstanz produces multiple Riesling wines ranging from rather dry and off-dry (Kabinett), to sweet late harvest (Spatlese) and selected harvest (Auslese) and even sweeter dessert wines made from selection of botrytised grapes (Beerenauslese and Trockenbeerenauslese). According to the Qualitätswein bestimmter Anbaugebiete (QbA) and Pradikatswein system, the sweetness in most German white wines is determined by the time of the harvest and précised on the label by the following words, also representing categories: Kabinett, Spatlese, Auslese, Beerenauslese, Trockenbeerenauslese and Eiswein. Any wine not mentioning any of the cited categories is usually a dryer style (Classic, Trocken). Other names on the label refer usually to the vineyard and / or the village and / or the region of origin. Obviously, the later the harvest will happen, the riper the grapes will be, therefore containing higher sugar content. Yet, to fully understand the sweetness of a German wine, you also have to take in consideration the desired style of the producer, if chaptalisation occurred or not, the vineyard it comes from and the allowed alcohol content range per category; knowing that the lower the alcohol content will be, the higher the sweetness in the final wine will be. Confusing isn’t it? Therefore, I rather intentionally leave aside the dryer style (Trocken) and declassified wines (easily recognizable because of the little *** on the label following the category), but also the fact all these factor can also vary depending on the region of origin, to avoid even more confusion. For example, today’s wine is a Kabinett, meaning that it is supposed to be a fully ripened light white wine from the main harvest, typically off dry or semi-sweet with crisp acidity, and it is, but it could also have been “dry” if designated so (Trocken). However, this particular one isn’t dry, but it isn’t the sweetest of its category either. What you have to realize as well is that, by law, the minimum authorized alcohol content in a Kabinett Riesling from the Mosel is 7% (sweet) but it also can go up to 11% (much dryer); today’s wine being 9% places it in the middle. It presents a light, clean yellow, greenish color with bright reflects. The nose offers fresh, enticing and gentle zesty, mineral notes nicely complementing the white peach, lemony aromas. The palate is soft, juicy, and lightly sweet with similar flavors as the nose. The light, bright and really enjoyable finish possesses lovely balance and texture, and seems somewhat quite long. Highly recommended and a no brainer at this price. It will fit particularly well with light dishes, steamed sea and freshwater fish, boiled meat with light sauces, and a small poultry; and of course slightly spicy and raw Asian food.